How many Portafolds and Ansfolds were built? Who has the earliest known example? Who has the last known example? How many were built each year? How many are still in existence? Were the Ansfold models more popular than the Portfolds? How far have they travelled from their birthplace of Fareham, Hampshire? 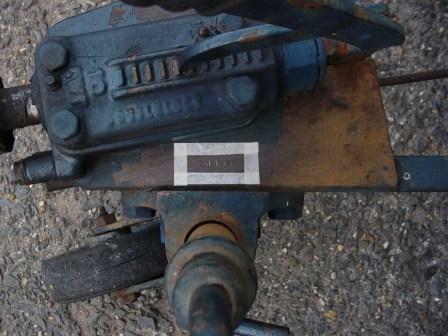 To find your chassis number you'll probably need to use a wire brush to remove the layers of paint from your A frame. 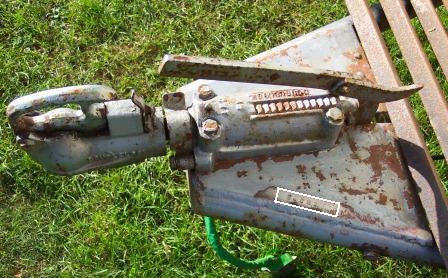 The number is located on the nearside of the drawbar next to where the jockey wheel bolts on and should be 5 digits long. The Ansfolds have a longer chassis number anything up to 9 digits long. Until I can gather a lot more numbers I won't be able to give a definitive answer as to how long they should be. They should also be in the same place on the earlier tubular chassis models. The pictures below should help you locate the number. Once you've found your chassis number I'd be very grateful if you could email it to me so I can add it to my database. My details can be found on the 'contact us' page. If I already have your chassis number on my database I may be able to tell you some of its history, who owned it before you and who bought it new.